A funeral or a memorial service is a time of reflection and celebration of a loved one. Our professional staff is trained to work with you in designing a service that is as unique as the person you are honoring. When a death occurs, a family is faced with over 125 decisions that need to be addressed in a relatively short period of time. These decisions can leave a family overwhelmed and confused, especially with the emotional impact that they have just experienced. In this booklet you will find our entire price lists as mandated by the Federal Trade Commission. We offer several service packages for families who are considering burial or cremation services. You may also select individual services if you desire. With so many price variables, it is extremely important for your family to understand all of your options. We feel the more informed families are the better decisions they make. We also realize that not every family has the financial means or desires to spend thousands on a funeral; that’s why we have created different service options and offer a wide variety of merchandise. When reviewing this booklet you will discover that not only are our prices affordable but the level of personalized service, comfortable facilities and professional staff exceed expectations. We are extremely proud of our heritage and pledge to you and your family that the concern and compassionate care you will receive from us will help you through a difficult transition. Thank you for placing your trust in Sanders Funeral Care. Many families are often confused when it comes to planning a funeral and working through the funeral expenses. 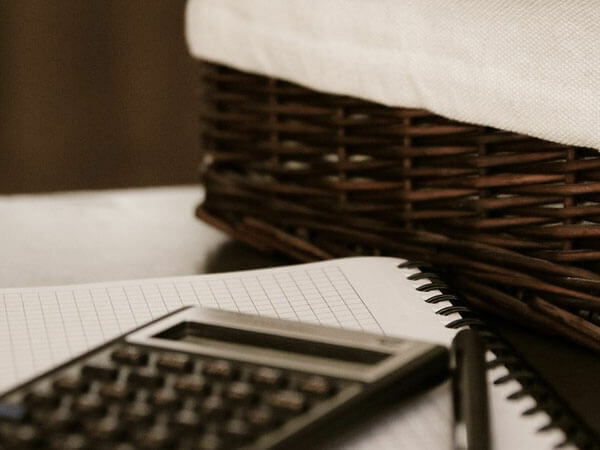 While your funeral director will guide you through the many decisions that will need to be made, this section will inform you on the three parts to a funeral contract and help you better understand the price lists on the following pages. Expenses associated with the funeral home services provided to your family. These charges are often referred to as service charges and are often available as a package price. Expenses associated with the merchandise your family selects. This could include items such as a casket, outer burial container that the casket is placed in at the cemetery, clothing, register book package, etc. Please keep in mind that you will be required to pay Indiana’s seven percent sales tax on these items. Expenses associated with those people that play a role in the funeral service but don’t work for the funeral home. These items are referred to as Outside Expenses on the funeral contract and vary by each family’s needs and wishes. These expenses might include the cemetery’s fees to open and close the grave, florists, musicians, hairdressers, newspaper obituary fees, minister honorariums and any other people that a family might want to participate in the services. Be sure you fully understand all of your outside expenses as often times these items can add a significant amount to the total service costs. These prices are effective as of January 1, 2014 and subject to change without notice. Our charge includes funeral director and staff to respond to the initial request for service, necessary arrangement conference with family or responsible party, preparation and filing of necessary certificates and permits, recording vital statistics, preparation of necessary notices, and coordination of service plans with parties involved in the final disposition of the deceased, e.g. clergy, cemetery personnel, crematory and others. Also included in this charge are overhead expenses relative to our facility such as insurance, maintenance and utility expenses, secretarial and administrative costs and equipment and inventory expenses. This fee for our basic services and overhead will be added to the total cost of the funeral arrangements you select. (this fee is already included in our charges for direct cremations, immediate burials and forwarding or receiving remains. This charge includes the basic services of funeral director and staff, transfer of remains to the funeral home, embalming, other preparation of the remains, necessary authorizations and local transportation to the airport. This does not include any visitation or service prior to forwarding the body, a casket, or a standard shipping container. Our charge for a direct cremation includes transfer of remains to funeral home, sanitary care of unembalmed remains, shelter of remains for 48 hours as required by law, transportation to crematory, and basic services of funeral director and staff. This charge does not include any visitation or ceremonies or crematory charges. If you want to arrange a direct cremation you can use an alternative container. Alternative containers encase the body and can be made of materials such as fiberboard or composition materials (with or without an outside covering). The container we provide are made of cardboard and fiberboard. Our charge for an immediate burial includes basic service of funeral director and staff, transfer of remains to funeral home, other preparation of the body, and local transportation to the cemetery. This charge does not include a casket, vault or cemetery charges.